In this 27-page comprehensive guide (Standard Operating Procedure e-Book), you will learn how to produce an effective SOP. We have included a proposed structure for an SOP as well as draft language and other guidance to assist you in creating a good SOP. 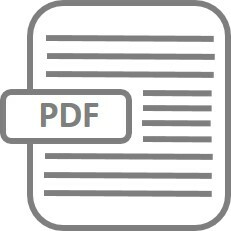 This Standard Operating Procedure e-Book is designed to provide an overview of SOP and a step-by-step guide to enable you to design your own SOPs, along with a sample of an SOP to show you all the items that are supposed to be included in one. Standard Operating Procedure (SOP) is used to ensure the presence of a certain level of consistency and quality within the organization by providing a standardized procedural instruction to perform a task with the right people trained for it. In this comprehensive guide (Standard Operating Procedure e-Book), you will learn how to produce an effective SOP. Furthermore, we have included an MS Word template to be used as a starting point for preparing a standard SOP. We have included a proposed structure for an SOP as well as draft language and other guidance to assist you in creating a good SOP. We have saved this template in different formats (.docx, .dotm, .dotx, .docm, .doc, and .dot) to make sure it is compatible with all systems. The yellow-highlighted text enclosed with [ ] indicates a placeholder where a specific detail is to be inserted (replace as appropriate). Ensure that all placeholders and example text is replaced with the function-specific information. In the template, the instructions and explanatory text are indicated by <blue italics>, which is used for explanations only and must not be included in the final document. Please review this template and feel free to adapt it to the specific needs and requirements of the monitoring group and study.